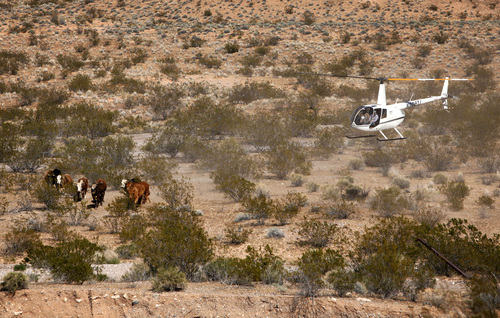 BLM • Utah leaders argued the cows rounded up by the feds should stay in Nevada ­ along with the controversy. 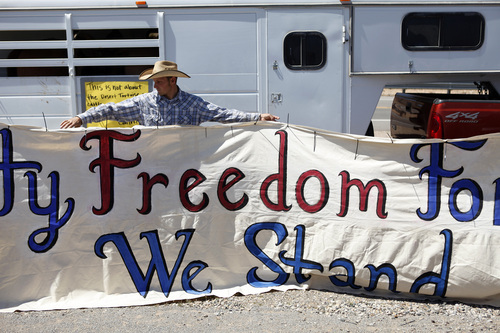 Cattle seized from public land in Nevada were once headed to Richfield for auction  but federal officials have changed their plans after Utah leaders argued the animals would threaten the state&apos;s $1 billion livestock industry. And any showdown over the controversial roundup should remain in Nevada, according to an April 2 letter Utah Gov. Gary Herbert sent to the acting Bureau of Land Management director, Neil Kornze. "We don&apos;t have a dog in this fight, and that&apos;s why we want them to stay in Nevada," said Washington County Commissioner Alan Gardner. 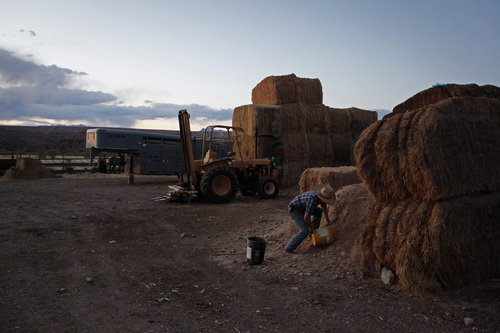 On Saturday, federal agents and contract wranglers began rounding up some 900 cows off public land allotments in Clark County, where Nevada rancher Cliven Bundy had illegally had them grazing for years. 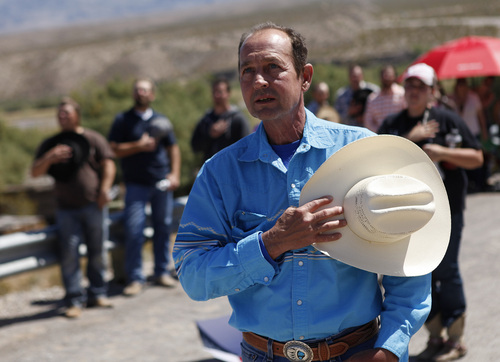 Bundy has refused to pay BLM grazing fees since 1993, according to The Associated Press, which reported that Bundy argues in court filings that his Mormon ancestors worked the land long before the BLM was formed, giving him rights that predate federal involvement. 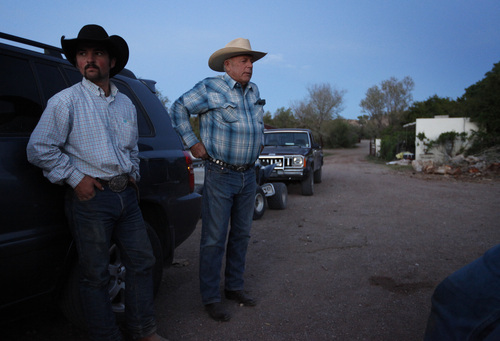 The roundup of his cattle has sparked an intense outcry from critics who see it as heavy-handed federal intervention, although it is sanctioned by court orders. But the BLM&apos;s plan to ship the cows 200 miles to a Sevier County auction yard sparked even more controversy. 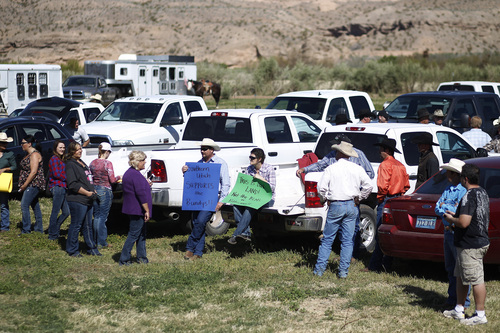 Herbert and other Utah political leaders say the cows should remain in Nevada. "There are serious concerns about human safety and animal health and well-being if these animals are shipped to and sold in Utah," Herbert wrote. But the larger concern appears to be the potential reactions. Sevier County Sheriff Nathan Curtis has told the governor that the proposed sale has generated "public disturbances" from those angered by the BLM&apos;s action against Bundy. "Such threats place at risk the larger community, including residents and Utah state employees who must be present, should a sale in Utah occur," Herbert wrote. 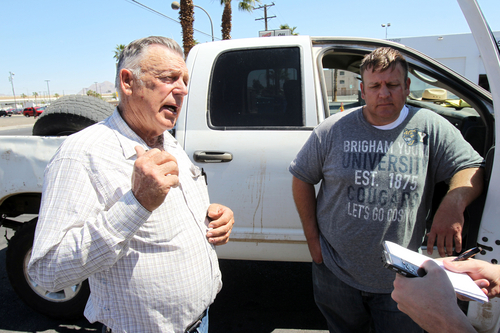 Attorney General Sean Reyes visited Clark County on Tuesday to assess the situation, and said later in the evening that he is backing the governor on the issue, according to spokeswoman Missy Larsen. 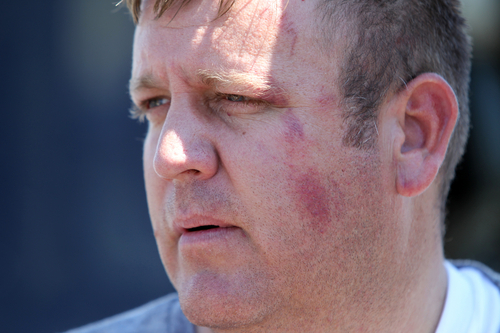 Utah Public Safety Commissioner Keith Squires was also in Clark County. 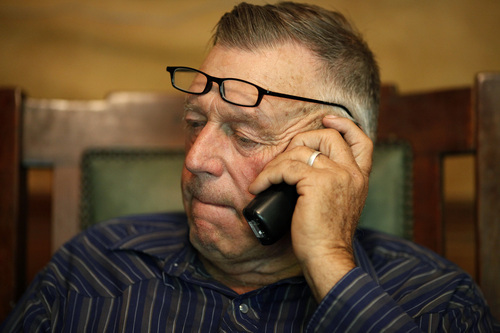 After a meeting with Utah officials Tuesday, BLM officials agreed to give seized cattle that are "feral" to the state of Nevada, and keep cows bearing Bundy&apos;s brand in Clark County for now, according to Washington County Commissioner Jim Eardley, who attended the meeting. BLM officials could not be reached for comment Tuesday. 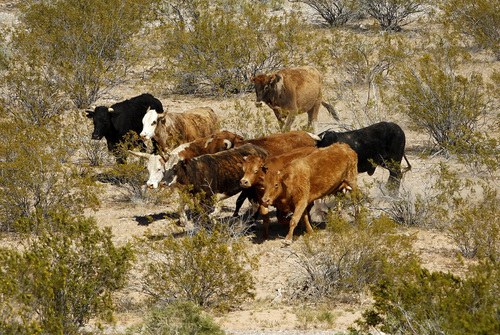 Some of the cattle seized so far apparently had wandered into Nevada from allotments on the Arizona Strip and will be returned to the Utah-based ranchers who own them, Eardley said. On Friday, Eardly and his fellow commissioners passed an emergency resolution giving a litany of reasons why the Bundy cows must stay out. 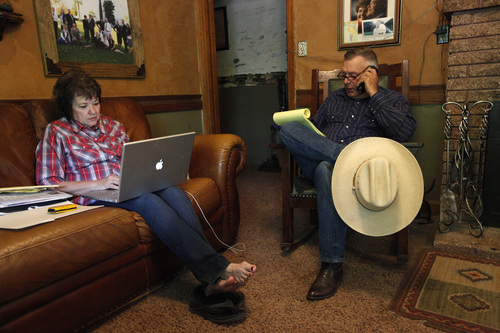 Topping the list are brucellosis and other diseases that could spread to Utah herds. The resolution claims many of Bundy&apos;s cows have been running loose on the range for so many years that they can no longer be considered domestic. In addition to being disease carriers, these animals are not accustomed to being gathered or transported and would be a menace to those handling them, it said. "Feral cattle do not receive proper immunizations or other veterinary care," the resolution states. "Feral cattle are likely to interbreed, and interbreeding of cattle creates numerous problems with maintaining a healthy and vibrant herd." The resolution also urges "citizens to remain peaceful and abide by the law in any protest activities they may engage in regarding this or any other issue." Washington County Sheriff Cory Pulsipher also is working to keep the cows out. In a blog post Monday, however, Pulsipher tied together his opposition to moving the cows to Utah&apos;s efforts to wrest control of public lands and roads from the feds. The post doesn&apos;t mention the health concerns, but does caution demonstrators to remain within the bounds of the law.